It’s no secret that veggies are good for us! But I understand that not everyone loves the taste of them! 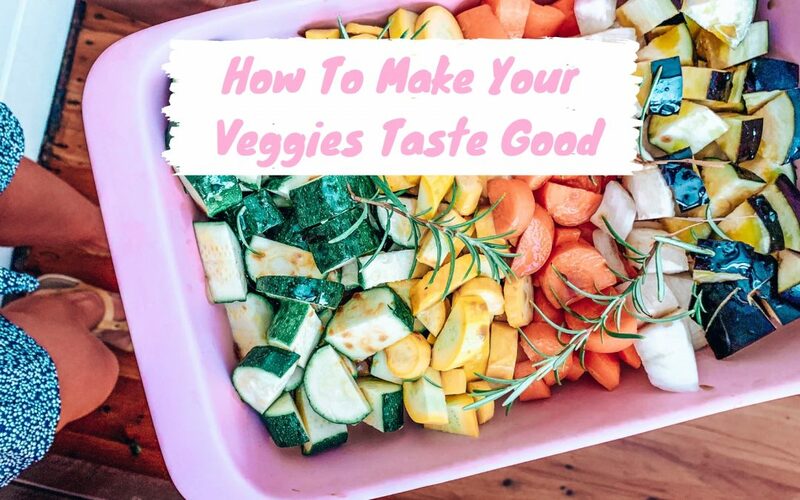 So here are some ways to make your veggies taste good so you will actually want to eat them! Cook your veggies in different ways – don’t just steam your veggies. Bake them; stir fry them, BBQ them. Click here for my Perfect Baked Pumpkin recipe. Cook with a healthy oil – use a healthy oil like extra virgin olive oil to help bring out the unique flavours in the veggies and boost the absorption of fat soluble vitamins! Try flavoured oils like chilli or garlic oil too. Experiment with flavours – adding a small amount of crushed garlic, sliced ginger, mustard, herbs, spices* chilli paste, honey*, maple syrup* or sauces like soy & tamari can completely transform your veggies. Experiment and find your favourite flavour combo! 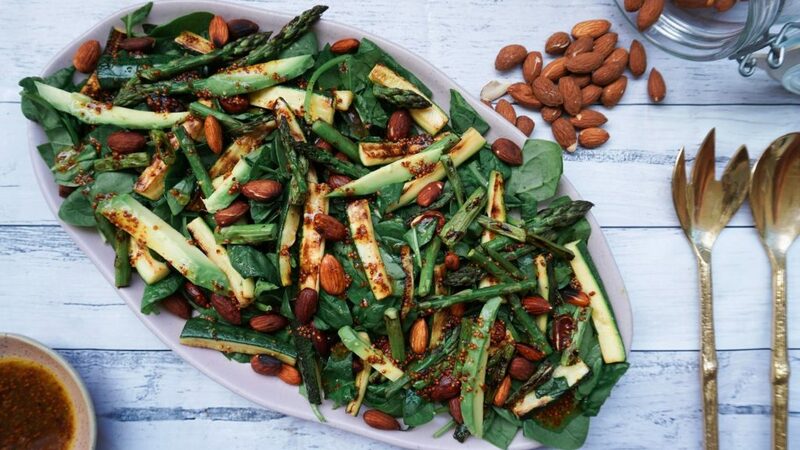 Click here for my Mixed Green Salad with Toasted Almonds & Honey Mustard Dressing recipe. Add some texture – adding some toasted nuts or seeds can gives your veggies a delicious crunch and extra flavour. 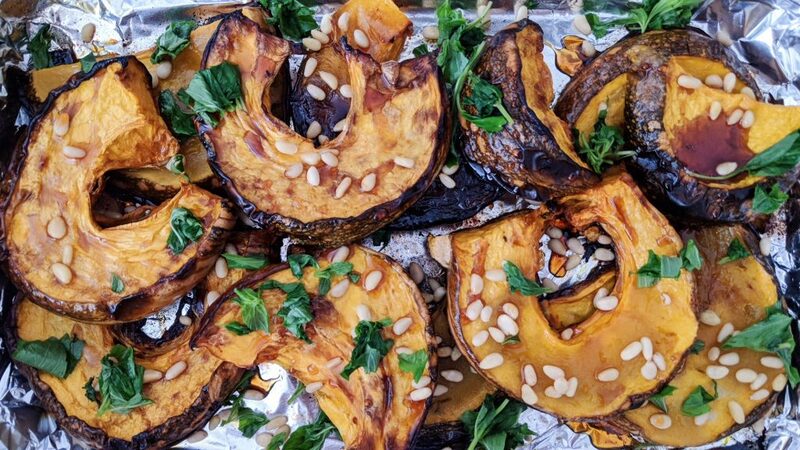 Click here for my Roasted Veggies with Crushed Nut Topping recipe. Use vinegars – rice, balsamic, white wine vinegars etc can add a delicious flavour to veggies. Click here for my favourite balsamic vinegar veggie dressing recipes. Add some fruit – fruit can add a beautifully sweet flavour to your veggies. 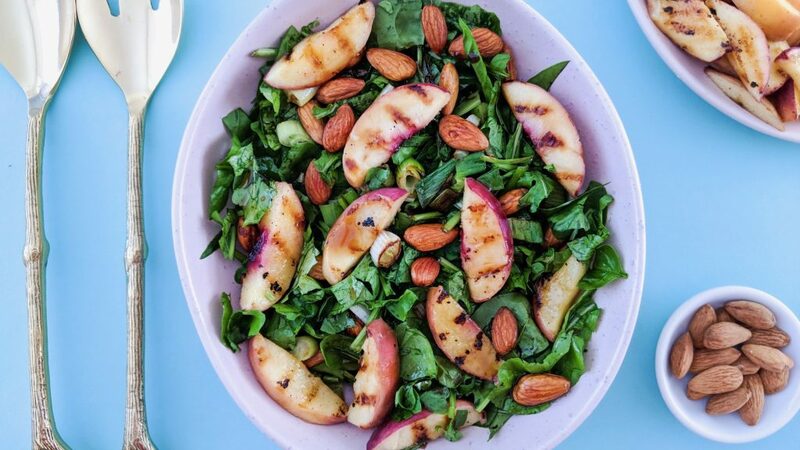 Click here for my Caramelised Peach Salad recipe. Squeeze some lemon juice – lemon juice is one of the quickest and easiest ways to add some flavour to cooked greens. Use a sauce – sauces can enhance or even mask the flavour of veggies. Some of my favourites are a sesame sauce, BBQ sauce, tahini and sweet chilli sauce. You can even make a healthy dipping sauce for homemade chips by mixing plane Greek yoghurt and sweet chilli sauce. You’re better off having your veggies smothered in sauce than not eating veggies at all! Melt some cheese – melted cheese makes everything taste good, so slap some cheese on your veggies and eat up! Editor's Note: All opinions are my own. I was gifted *these ingredients from The Source Bulk Foods.